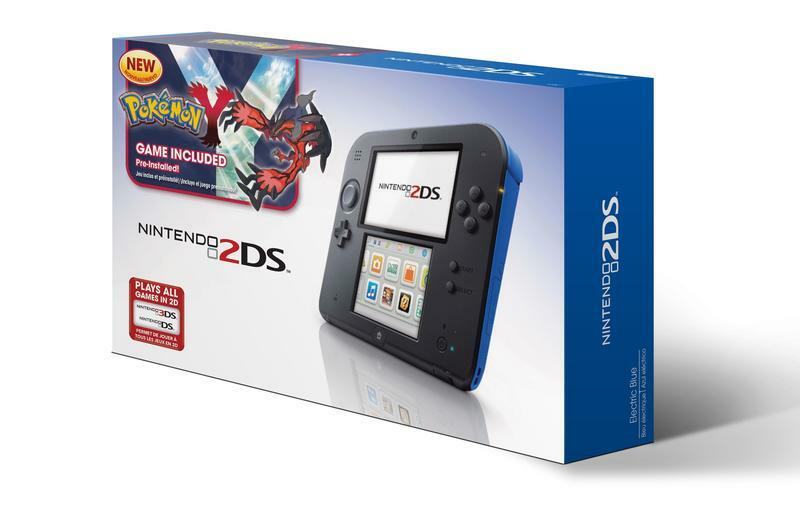 Nintendo has announced a brand new Nintendo 2DS bundle featuring the likes of Pokémon X and Y. Selling for $149.99, you'll be able to snag a 2DS pre-loaded with Pokémon X or Y starting on December 6th. As for how to get X or Y? Things get a little complicated…well, sort of complicated. Not complicated at all, I don't know what I'm saying. Here are the details as per the press release that went out this morning. Target will offer an exclusive bundle that includes the Pokémon X game pre-installed on a red Nintendo 2DS system at a suggested retail price of $149.99. Toys"R"Us will offer an exclusive Pokémon Y bundle at stores nationwide and online at http://www.toysrus.com. The bundle will include a blue Nintendo 2DS system and the Pokémon Y game pre-loaded on an SD card at a suggested retail price of $149.99. I personally went with X. I liked the legendary a little better in that game. Though, honestly, it doesn't make too much of a difference for most players to even notice. If you've been running a tighter budget than usual, this Pokémon X and Y 2DS bundle might be right up your alley. At $149.99, you'll save roughly $20 by buying the two together rather than separately. Both bundles will be available while supplies last. The Nintendo 2DS system maintains many of the same hardware features as Nintendo 3DS, like touch-screen controls, StreetPass, online multiplayer functionality and the ability to download games in the Nintendo eShop. Without any hinges, the durable Nintendo 2DS is a great first-time system for kids. In addition, Nintendo 2DS is backward compatible and can play the huge existing library of Nintendo DS games. For more information about Nintendo 2DS, visithttp://www.nintendo.com/3ds/2ds. Pokémon X and Pokémon Y are the latest installments in the world-famous Pokémon series. The games offer a new generation of Pokémon, a new region to explore, new Mega Evolutions and a host of new features. Since their launch on Oct. 12, the well-received Pokémon X and Pokémon Y games have sold more than 2 million copies combined in North America. For more information about Pokémon X and Pokémon Y, visit http://www.pokemonxy.com.